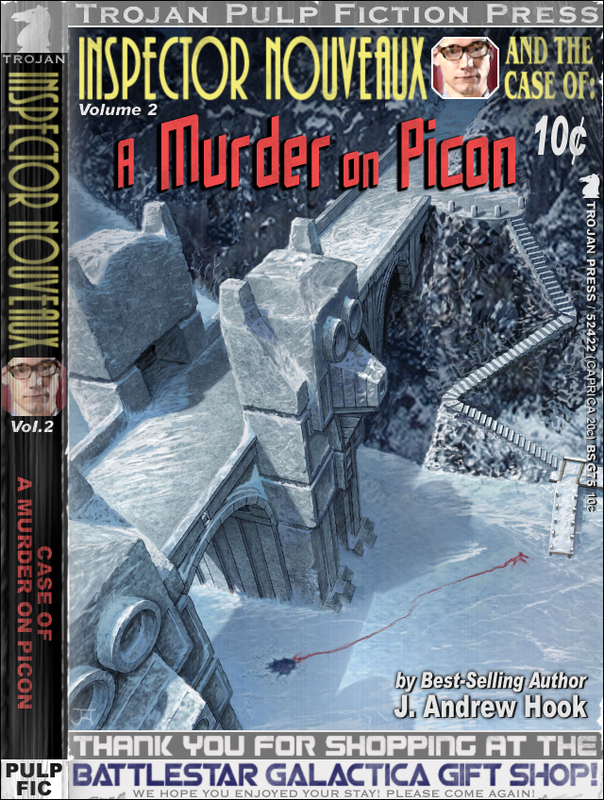 Inspector Nouveaux and the Case of a Murder on Picon! In our previous installment, the intrepid Inspector Nouveaux was able to track down the notorious Space Monkey Vase and return it to its proper place at the Delphi Museum. The thief was ultimately caught and is now resting safely behind bars, but the mysterious cult which hired the thief to steal the vase in the first place is still at large. The Inspectors only lead in the case is a shipping address which leads him to a remote monastery on the planet Picon. The monastery has obviously been abandoned for centuries, but there are many clues left behind in an ancient Stone Temple Daggit which indicate that intensive excavation efforts have been underway in recent months. Inspector Nouveauxs plan to meet with the local archeologist of record, Prof. Plum, at the monastery site is abruptly cut short when Prof. Plum is found lying dead at the bottom of a local riverbed. Stranger still is the fact that the river was completely frozen over at the crime scene, the victims blood and the perpetrators footprints still fresh in the snow. Was the murderer simply too hasty to dispose of the body properly or was he (or she!) 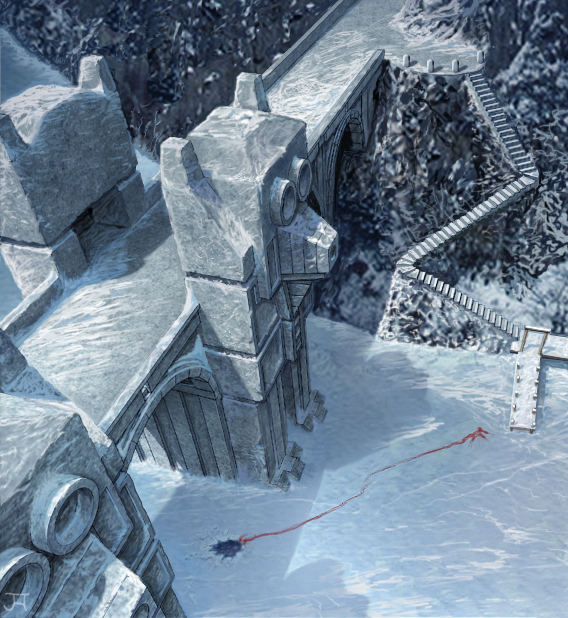 too careless to realize that the river would be frozen over when the vile deed was done? Once again the Inspector is faced with a seemingly unsolvable crime, and yet each clue he finds only prompts more questions. For instance: No one knows for certain which god the Stone Temple Daggit is dedicated to, but it is the only temple on Picon which isnt dedicated to Poseidon, and isnt the plethora of Space Monkey carvings in and around the monastery complex a dead give away? If a secret Space Monkey Cult is really responsible for the hit on the Delphi Museum back on Caprica, they dont seem to be covering their tracks very well. Was the person who murdered Prof. Plum really an inept bumbler, or is it all part of an ingenious plot to throw Nouveaux off the trail of an even greater mystery? More importantly, will Inspector Nouveaux ever be able to sweet talk the curator at the Delphi Museum into reimbursing his travel expenses? Fear not, Inspector Nouveaux is on the case! There are two Trojans in this picture shoveling out the guardhouse on the bridge. No, not that one, the one on the other side (the one that cant be seen)! Daggit-gone-it! He did it again! Following in wake of his previous - and so far unprecedented (if somewhat doubtful literary) - success, J. Andrew Hook comes out of the temple gate flying with the new installment of his popular (if tacky) detective series from Trojan Pulp Fiction Press. If you are searching for a deep, meaningful, intricate, or otherwise memorable storytelling, this is NOT the book. However, if you are hungover (and I often am!) and craving some mindless entertainment, then this is the treat for you! Much like the previous effort, this book sees the ever-inept Inspector Nouveaux fumble his way through obvious clues to more-than-forgone conclusions. Yet the journey is a strangely enjoyable one. You watch with grudging fascination as the good detective embarrasses himself repeatedly, and yet comes out on top. Often it's on top of yet another heap of trouble, but that's what we've grown to love about this schmuck. Oh, yeah, there are Space Monkeys (which don't exist!) and the quick return to the Delpi Museum for the illicit tryst with lovely Miss Emma Honeybunn (and some financial reimbursement), and all sorts of mischief with shoveling Trojans (insert your own joke here), but the plot is not important. What stays this series' unfailing attraction is its inane and strangely addictive silliness. So, let's hear it for the Stone Temple Daggit! This baby doesn't bite, but it sure will make you bark with laughter!